Our homes come in a variety of collections, different design options and lot sizes making it easy to find the right home for you. From community design, proximity to schools, amenities, and abundance of green space, Avalon Encore was thoughtfully created for all of life's stages. 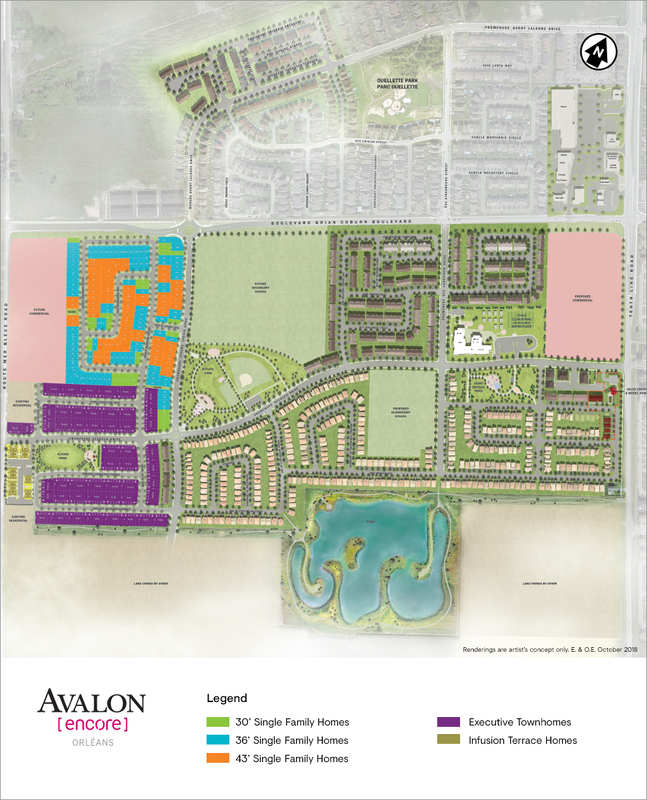 Want to know more about what's coming in Avalon Encore? Read more. Spacious 2 bedroom Infusion Terrace Homes for sale in Ottawa, Orléans along Mer-Bleue Road. 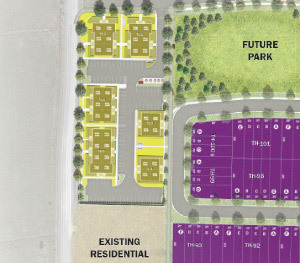 There is a natural flow between the three Avalon Encore parks in Orléans so there is something for everyone in the community — senior and junior play structures, an Active Fit structure for outdoor exercise, hills for sledding, splash pads, shade structures, sports fields and more! Watch the video and learn more about the three unique parks in Avalon Encore. 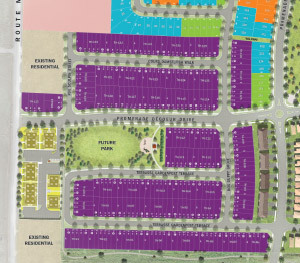 The three parks are also evenly distributed with structures, sports fields — including a baseball diamond — and pathways. And best of all, parks are accessible by a quick 5-minute walk along foot paths that wind throughout the community. 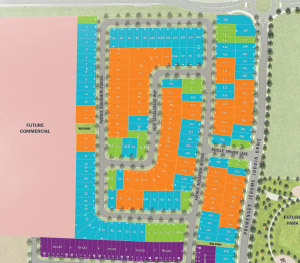 Learn more about Minto Park Development from our talented Land Development team here. Visit our gallery to discover the contemporary home designs in Avalon Encore.